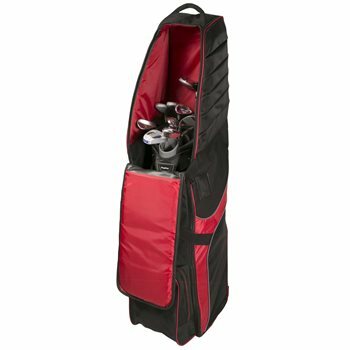 The Bag Boy T-750 wheeled travel cover offers new features for 2017, which include an extra thick 4-sided padded top with high density foam and impact resistant PVC that provides maximum protection for your clubs; deluxe in-line skate wheels that provide smooth rolling action and reinforced corners for excellent durability. The T-750 wheeled travel cover also features an ergonomic neoprene handle and an oversized shoe pocket. It fits up to a 48-inch driver and most stand and cart bags.